They're not against eating meat, but the authors of the new book Cowed argue there are sound reasons for eating less beef. It’s that time of year when many of us like to fire up the barbecue and toss some steaks or burgers on the grill. So many of us, in fact, that the average American male eats 39 kilograms of beef each year. (Women, by the way, consume about half that much). That’s a lot of meat. 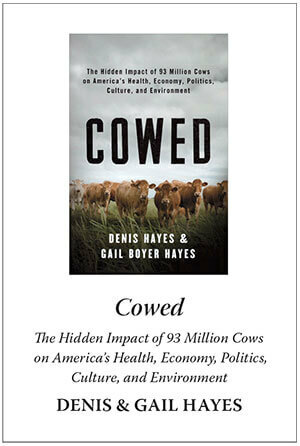 In Cowed, Denis Hayes, a prominent environmentalist who coordinated the first Earth Day in 1970, along with his wife Gail Boyer Hayes, an environmental lawyer, tell the story of that meat. First, they have to explain why. The number of cows out there is staggering – there are 93 million in America alone, which works out to roughly 55 million metric tonnes of cow. Having fewer of them certainly would be a good thing for the environment. Eating a pound of beef, after all, has a greater climate impact than burning a gallon of gasoline. From the deforestation caused by the clearing of farmland for feed crops to the methane that comes from cow burps, livestock account for more than 14 per cent of anthropogenic GHGs. 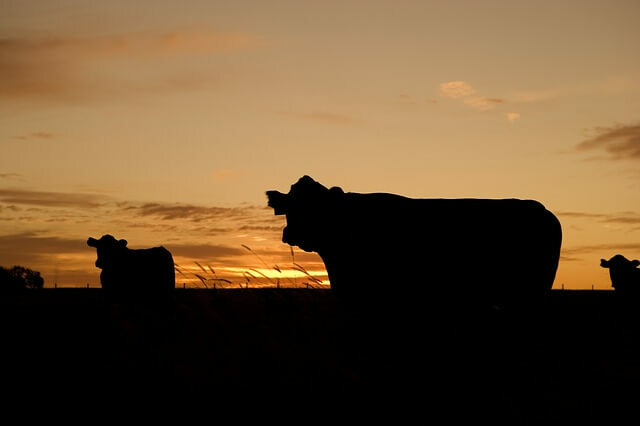 It also takes 3,280 litres of water to create a pound of grain-fed beef. Cow factories – also known as concentrated animal feeding operations, or CAFOs – are environmental disasters. Cows eat a hundred pounds of feed per day and poop out almost as much. That waste is often pumped into sewage lagoons, which become giant lakes of contaminated water. The crowded cows are also dosed with antibiotics that go right though them into the lagoons and into the water supply. In 2006, E. coli bacteria from cows got into several California vegetable farms, causing hundreds to get sick – and three actually died. Overall, the business is built on government subsidies and hidden costs as they relate to pollution, public health, loss of property value and environmental degradation. In the Okanagan Valley, the cows are really happy. They get a litre of red wine each day. This produces more flavorful and better-textured meat. One dairy in Oregon actually supplies its cows with waterbeds, which cut down on conventional bedding costs and make the cows less stressed.